Our holistic healthcare website is especially designed for people in Northwest Ohio sincerely interested in restoring their health and staying well. We are dedicated to helping as many people as possible reach and maintain optimal health and wellness through the highest quality and most comprehensive natural healthcare services available. We believe in a holistic body/mind approach to health and wellness. Your best welfare is the prime motivation in all we do. Therefore, besides helping you safeguard your health, we also intend to be very considerate of your time and finances. We offer a variety of educational resources that will give you and your family the tools to improve your lifestyle, and we intend to be your coaches in guiding you on your journey towards optimal health. We also plan to be a force for positive change in healthcare throughout the community, shifting the focus from disease treatment to prevention and wellness. Nancy is amazing! I just started the supplement routine and already feel a lot better! I have even referred her and your practice to others. I was and am overly satisfied with the care that I have gotten so far and confident that the care that I will keep getting will remain excellent! The knowledge and professionalism of this staff is phenomenal! Wish I had known about you years ago! I am now completely off my asthma medication. Not bad for a side effect! Thank you so much Dr. Pickens – you gave me my life back! I loved how comfortable my 11 year old felt with Dr Pickens! I appreciate the care I was given. I really appreciate the way Dr. Pickens is passionate about helping people and very caring and thorough! Dr. Pickens was extremely attentive to everything that I had to say. He was patient and informative, letting me know what my xray results meant and how we can work to correct them. I am excited to see if this new method will help to ease my pain and discomfort. I love that it is natural and holistic, Dr. Pickens is relaxed and puts one at ease, and I am more hopeful and excited about life. Thank you! I’m very happy to have found out about Dr. Pickens and I’m hopeful that he will be able to help me eliminate my allergies. He seems to be very knowledgeable. The first chiropractor that has been able to help me with my hips and leg length discrepancy. I feel so much better. Thank you for getting me in right away. 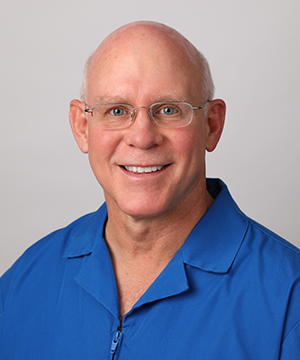 Dr. Pickens takes great care, concern and time with each patient, and has a very strong desire to cure, or at the very least, relieve each of his patient’s ailments. I had a great experience and I look forward to going back again! Chiropractic has changed my life in ways I never thought possible. Not only am I pain-free, but I have an improved quality of life and wellness that could never have been possible without Dr. Pickens’ care. Very friendly place to visit. I’ve been to several specialists dealing with my hair loss. I feel like Nancy is the first to really listen and want to get to the root of my problem. Great experience and will be referring my friends and family in the future!